We offer a range of unique laboratory services covering both routine and specialist testing. nQuire is a browser based Portal for the review of results, reports and other patient data stored in our Laboratory Information Management System. Our laboratories both lead and support internally led research projects as well as providing services for externally hosted research. 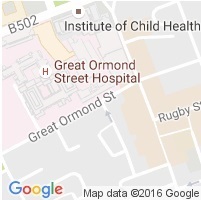 Great Ormond Street Laboratories offers a wide range of services to both UK and international customers led and supported by a range of clinical and technical experts.